At 3.5mm/1.5” long these earrings are dramatic, without being OTT. Sophisticated, classy and utterly chic they’re ideal for adding a touch of sparkle to daytime outfits, but they look divine with party outfits and for dinner dates. 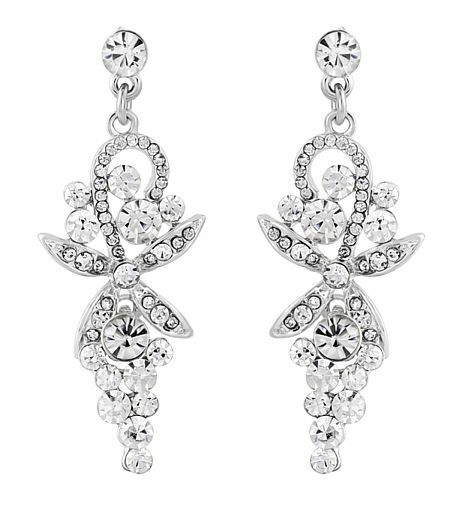 Sparkling crystals in a rhodium setting.